Hey there! Supernorn here with another update for you all! • GeorgeV has been working on more unique monsters, we’re currently at around 50+! • Samuriferret has been working on new lore codexes, including some hylotl specific stuff! • Kyren and myself have been working on art and implementation of a feature that’s been a long time coming! 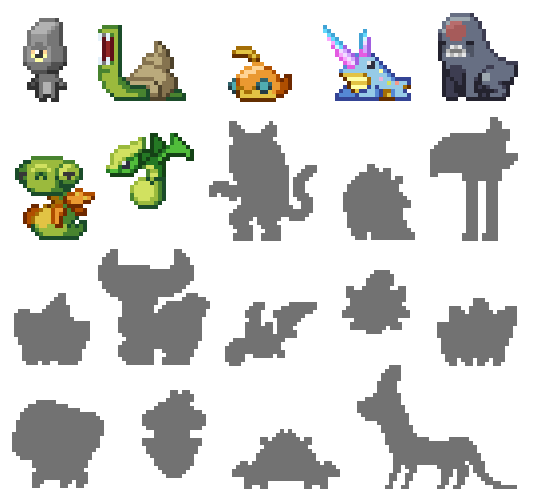 As if that wasn’t enough, here’s another round of monsters for you all to gaze at! Lastly, just a reminder that you should check out the Penguin Plush campaign on Kickstarter, if you haven’t already! ← 13th October: Two Monster Reveals!